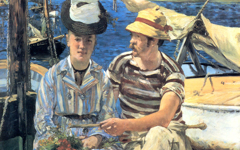 In our example, one "clue" to its meaning is provided by the slightly odd scale: Mme Manet sits nearer to us than Manet himself but her head is so small that his grip on the guitar-neck seems closer. Mme. 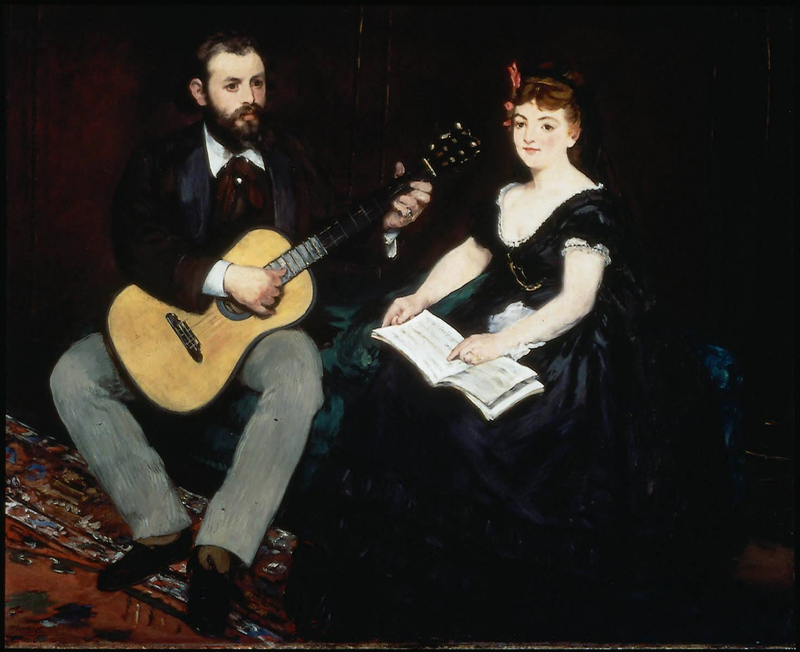 Manet is "a painting" by her own husband on the guitar. They are in two different realities. As in The Spanish Singer, the musician is the "artist." 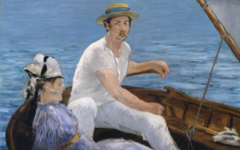 Here, though, Manet "sits" next to his "painting", a fused mental image of the studio and his art. That is why the lighting on their faces comes from different directions: one is "live" in the studio, the other "painted." 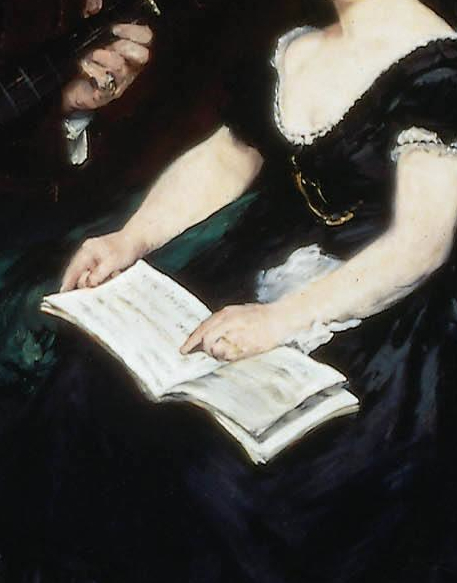 In a clever little twist, Suzanne Manet points to a score as though following the music her husband is playing. 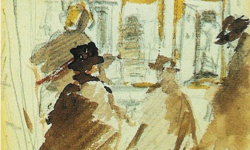 Pointing, though, is a common metaphor in art for painting.3 Her gesture, therefore, suggests that even as a "work of art" she is a female representation of the male artist painting the same music. An artistic mind must be androgynous (containing male and female sides) in order for its creative output to represent us all. 2. See the theme Music as Art. Original Publication Date on EPPH: 28 Mar 2012. © Simon Abrahams. Articles on this site are the copyright of Simon Abrahams. To use copyrighted material in print or other media for purposes beyond 'fair use', you must obtain permission from the copyright owner. Websites may link to this page without permission (please do) but may not reproduce the material on their own site without crediting Simon Abrahams and EPPH.